As fellow Typospherians will no doubt appreciate, my mind was constantly abuzz during my time in the United States, and I think my posts from that amazing week are testimony to that fact. My poor little cranium was bursting, just trying to take everything in; there was so much to learn and store. One of the "Slices of Heaven" posts included an image of a typewriter ribbon testing machine, which was demonstrated at Herman Price's Typewriter Collectors' Gathering at the Chestnut Ridge Typewriter Museum in West Virginia by Gabriel Burbano, of Little Falls, New Jersey. 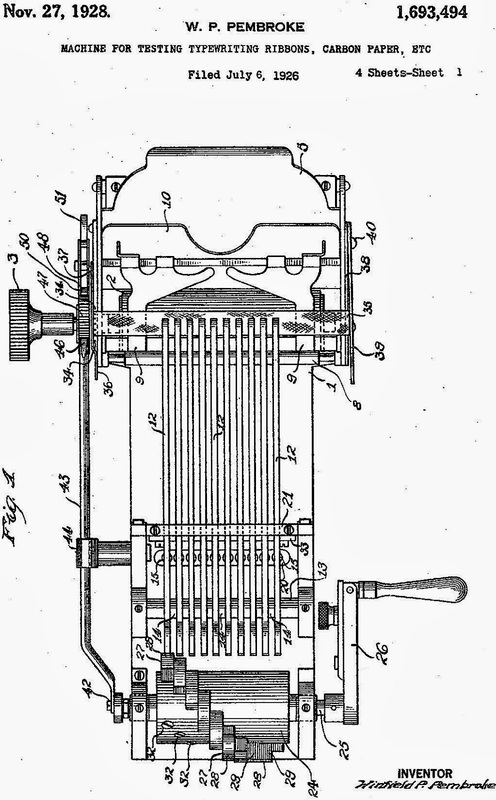 In a comment on that post, Bill MacLane asked for more details about the machine, and I'm afraid I wasn't able back then to supply any. 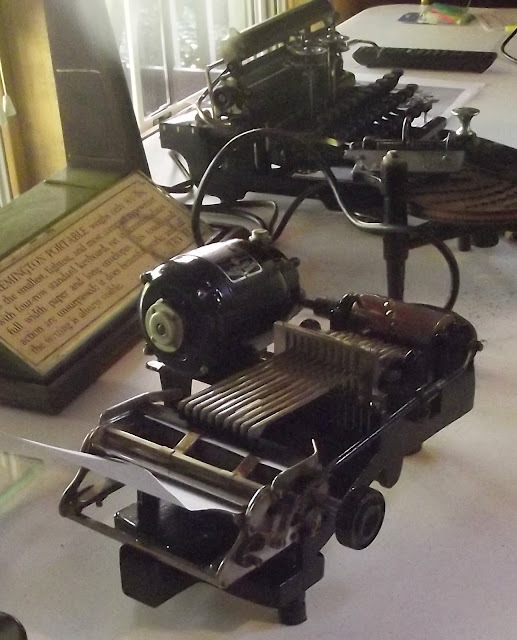 My slowly fading recollection of events is that nobody at Herman's gathering, including Gab, was 100 per cent certain what the actual purpose of the machine was, but the consensus was that it tested the quality of typewriter ribbon during the production process. 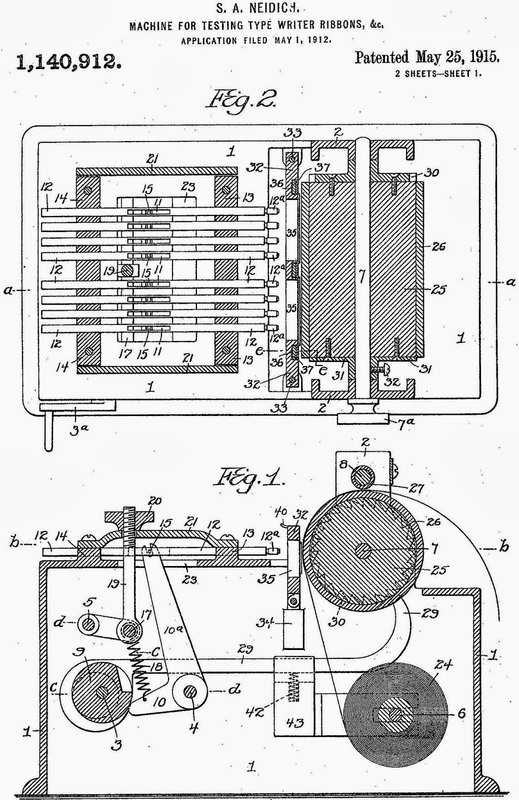 We were right, but it also turns out this machine was designed to test carbon paper as well. 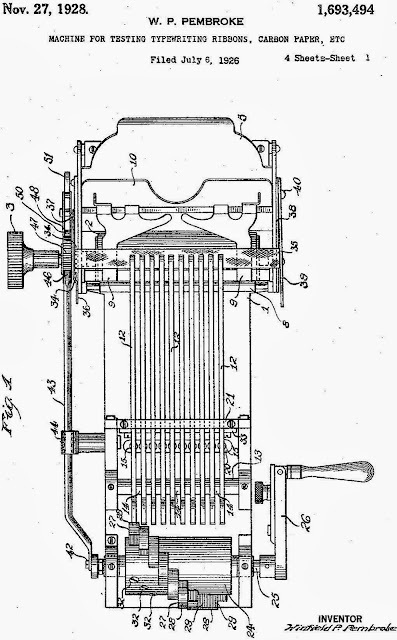 At the time this particular machine was patented, in 1928, its inventor also patented various methods of making carbon paper. 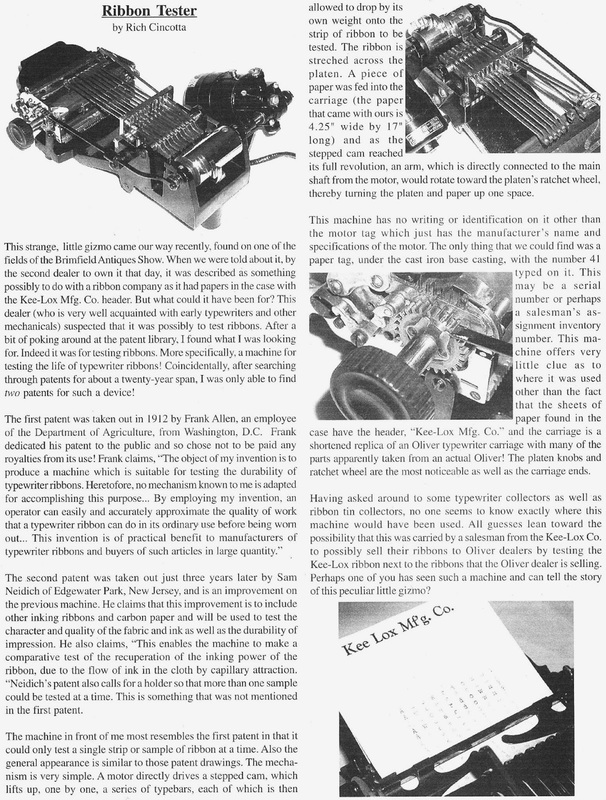 By sheer chance, last night I came across a full-page article in the December 2002 issue of ETCetera (No 60) in which one of the then joint editors of the journal, Rich Cincotta, gave a run-down on this Kee Lox machine. 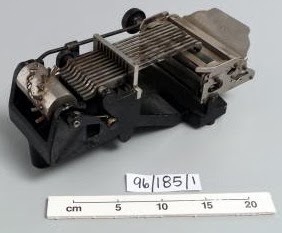 It turns out, upon checking, that the Powerhouse Museum in Sydney also has one of these, but attributes its invention to Winfield Perry Pembroke (1869-1960), of Rochester, New York. 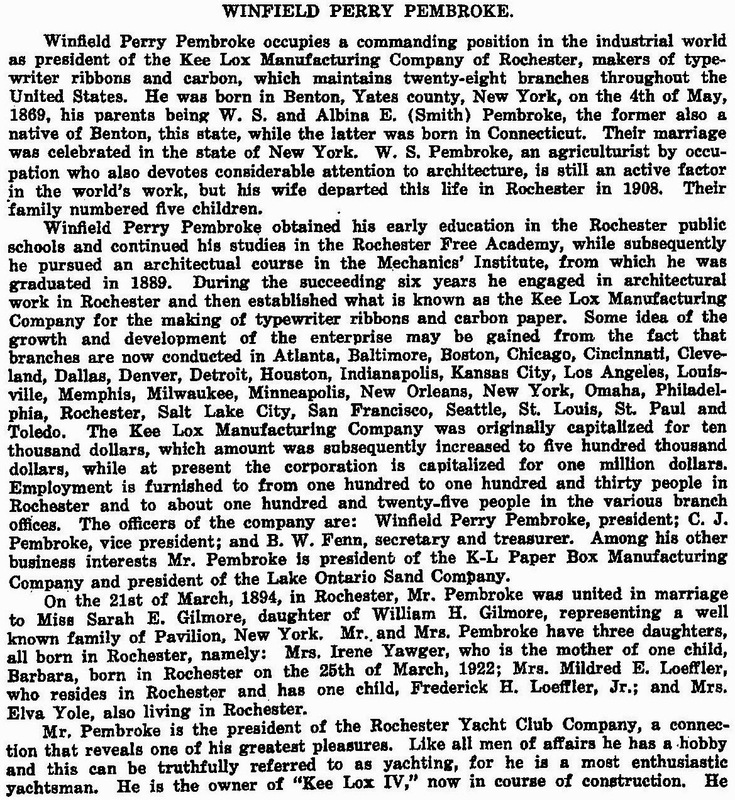 In 1928 Pembroke assigned his patent to the Kee Lox Manufacturing Company of Rochester. 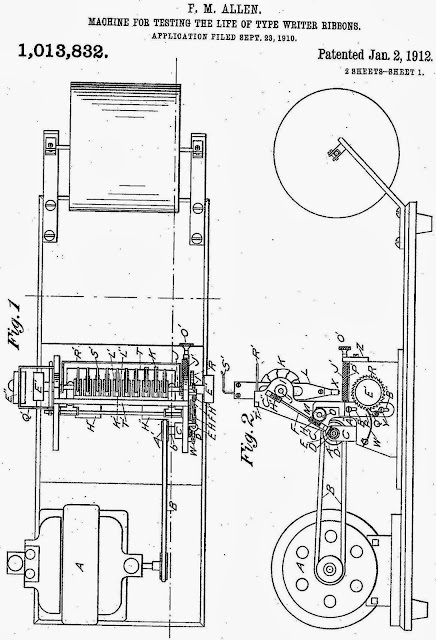 It appears to be hand-driven, whereas Gab's machine is, of course, motor-driven. 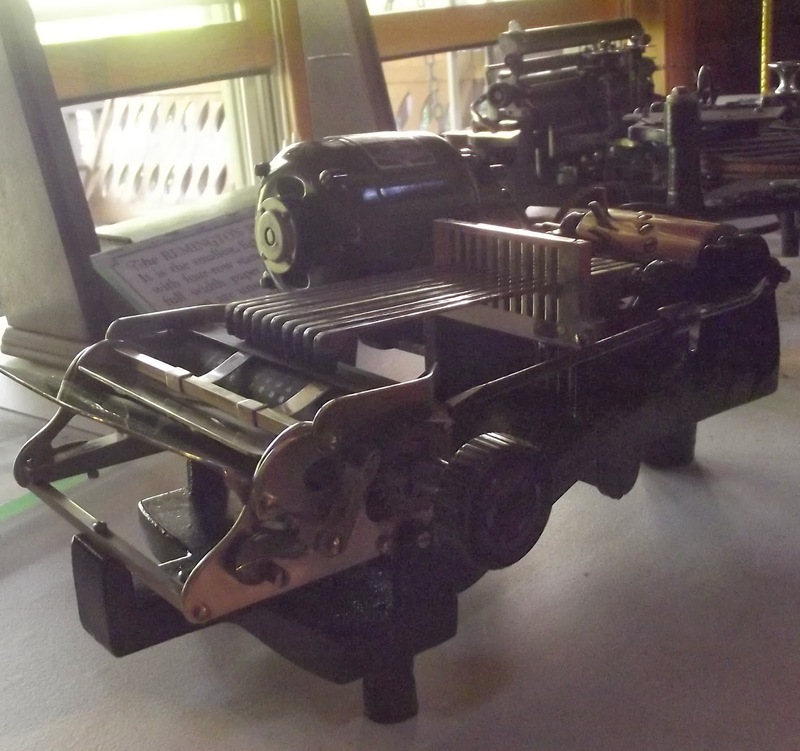 The Powerhouse example was once owned by the New South Wales Government Printing Office. 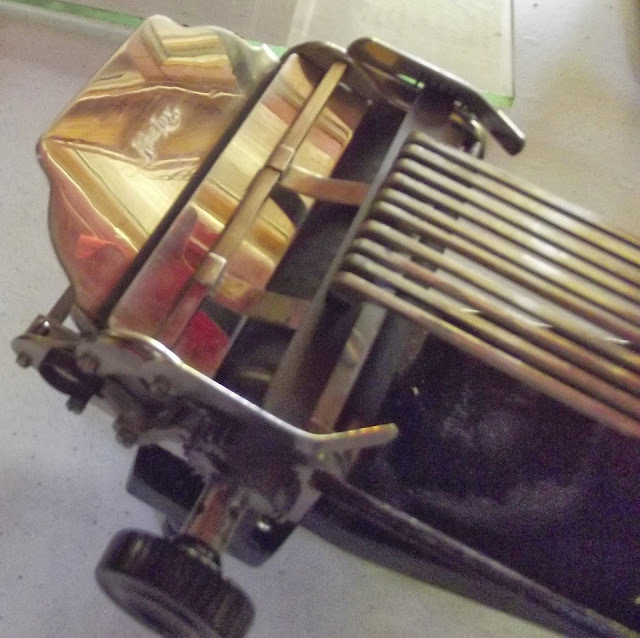 By coincidence, Bill himself posted on the Royal Signet typewriter and Kee Lox typewriter ribbon in June last year. This is a great little device. I also really enjoyed Gabe's metronome for typing (much louder than a music metronome). 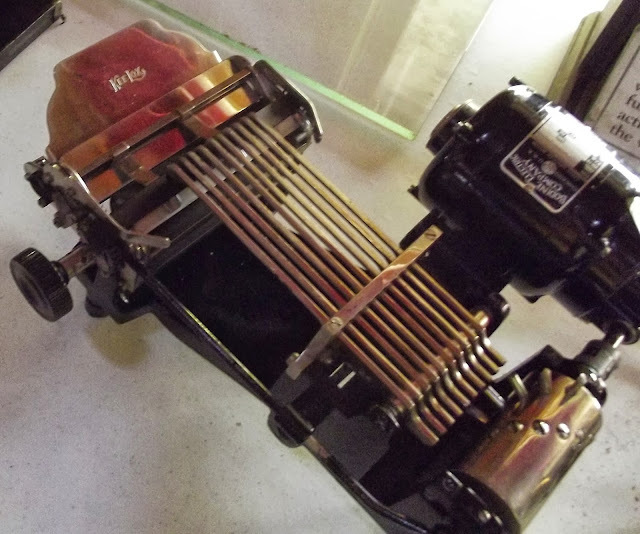 Perhaps this little gizmo helped test different combinations of ink and fabric? Could that be what they did to test ribbons? I'm not sure which of them was the louder, Richard, but I really loved that metronome too. I thought it could be pretty useful. Agreed, Miguel, cotton is far superior - was anything but cotton used back then (1928)? 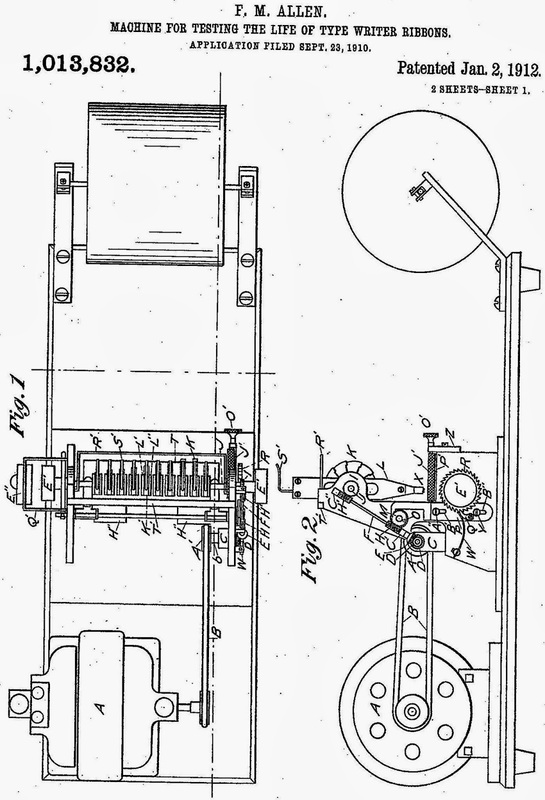 Only a small section of ribbon is tested on the Pembroke machine - in other words, just a sample, which fits your theory. 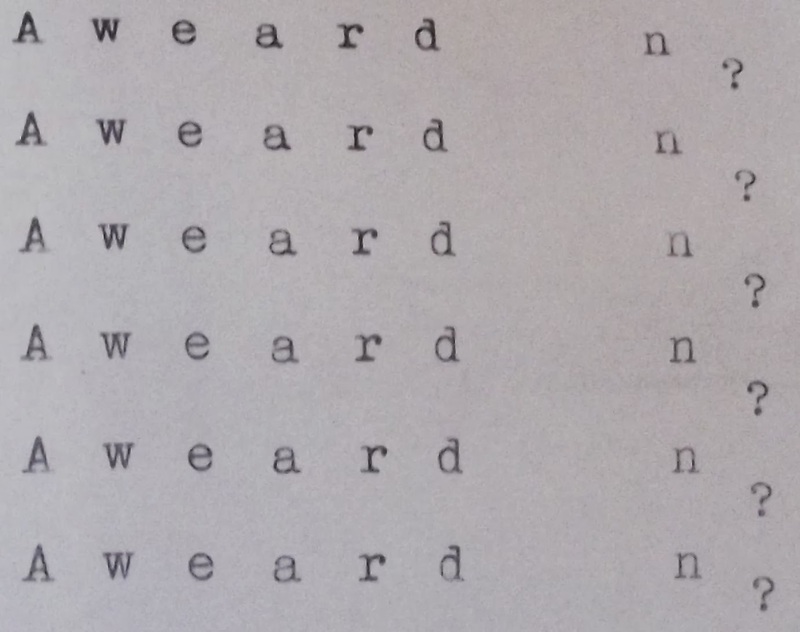 I wonder what a Government Printing Office in Australia would want with one. That is an interesting device. Still a bit puzzling though. 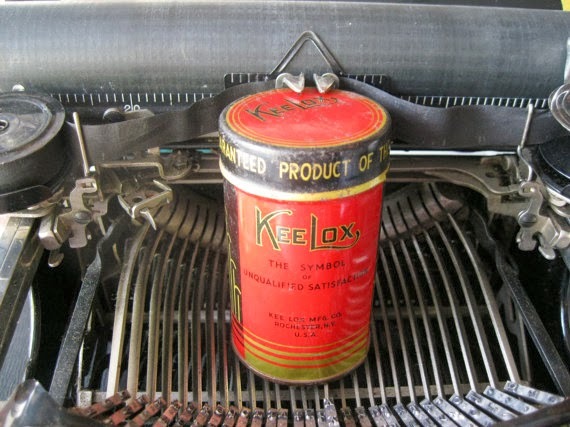 I would think KeeLox would want a device in the factory for testing average longevity, but a device such as this to show customers as to compare competitor's ribbons or ribbons of different material so they could sell the best. I think Miguel is on to something. Thanks for digging into all the information and the fine post. Robert, I seem to recall that the very best ribbons available were made of silk. The second best choice was cotton; that's what we bought for our Olivettis back in the '70s (silk ribbons were expensive and sold only in professional stationery shops downtown). As for what a Government's printing office needed a ribbon tester, here's another guess: given the nature of the work done in the office, they probably had to produce large amounts of typed documents, and thus had to be able to test the ribbons offered by the different suppliers during the purchasing processes. (I used to work for a government office a few years back, and we did something like that: we tested samples of the products the suppliers intended to sell the agency to see if they met all the technical requirements). 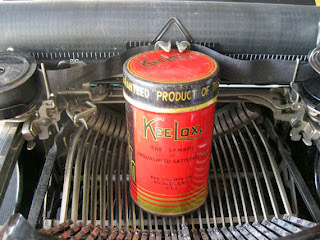 Nice story about the Kee Lox Ribbon tester (although I think it's more used for carbon paper) I can explain this later. This week I cleaned out my cellar and found my old Kee Lock complete with a lot of different test carbon papers, normal (Kee Lox)paper all in the original box. I have this device for more than 30 years in possession. It was left over when my companie (Olivetti) moved to another office. I worked with Olivetti from 1972 till it was split into Getronics (1999) and the companie I now work for. As far as I can see I'm not able to share pictures her so here is the link to some pictures. 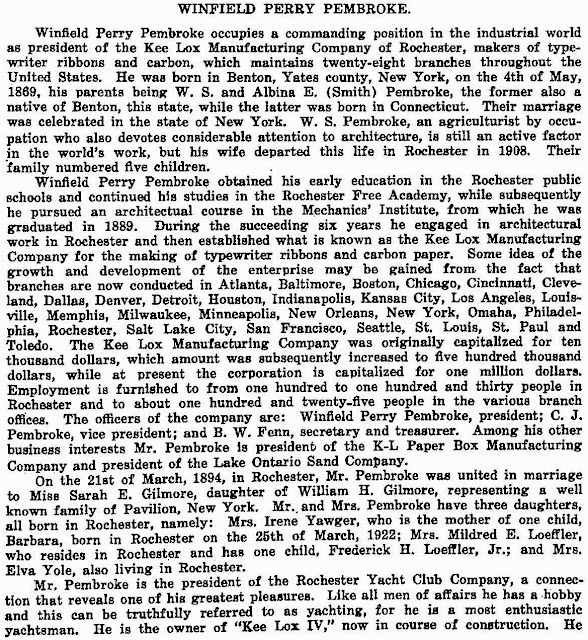 I used to work for Standard Products Corp. which used to be located at 856 Main St. New Rochelle New York from 1966 to 1974 as a machine operator My job was to cut different sizes of ribbons made of nylon to be used by Kee Lox, IBM, Underwood, Burroughs and many others. Your site brought back a lot of memories. 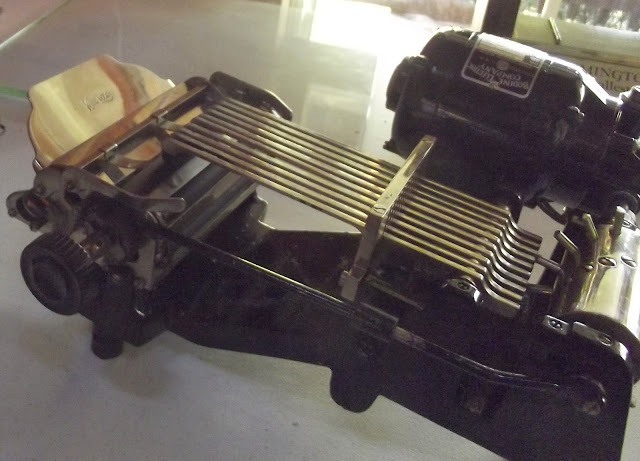 Portable Typewriter Fanatic? You Bet. 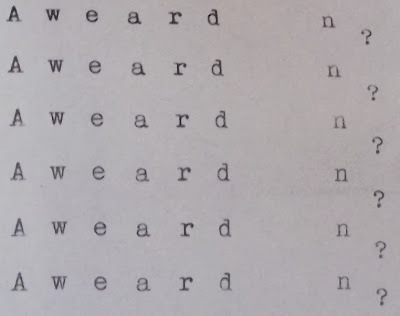 Barr None!